Double Fine Productions is renowned for making videogames such as Psychonauts, Bruutal Legend, and Iron Brigade. Scott Campbell (or Scott C) came on as art director for Psychonauts and started drawing comics as a morning warm up. These comics were then uploaded to doublefine.com and the world was made amazing! Now you can own them in print form! 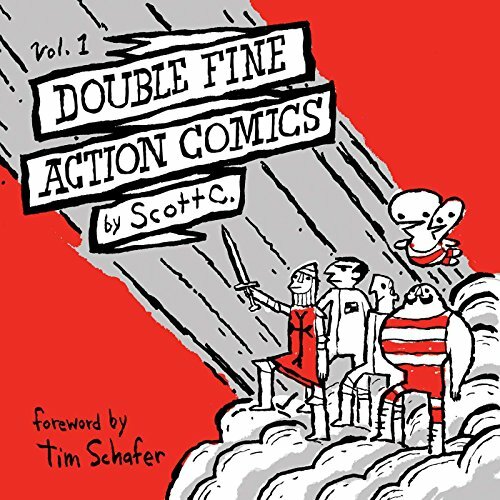 This book contains the first 300 strips, plus magnificent bonuses! You'll laugh like crazy, and join the world in feeling amazing!